A recent small study published in Nature’s Translational Psychiatry journal observed a change in the brain networking and behavior of boys receiving a video game-based treatment for ADHD. Conducted in Singapore, the study was conducted as part of a larger controlled investigation of boys with ADHD. It compared an intervention group of 18 participants (mean age 9 years) to a control arm of 11 participants (mean age 9.45 years). The former received eight weeks of treatment with a brain computer interface (BCI) therapy delivered using a headband with mounted dry EEG sensors and the ATENTIVmynd video game, an ADHD therapy in which players’ brainwaves and focus levels impact their success. For the study, participants played the game in 30-minute sessions over the course of eight weeks. To gauge the impact of the intervention, the researchers compared baseline and eight-week measures of ADHD symptoms, as well as differences in brain network processing obtained via imaging. The researchers found that children in the intervention group had significantly more efficient local processing within an area of the brain previously shown to impact how an individual detects the importance of incoming information. In addition to observing a general decline in ADHD symptoms, the researchers found that this change in brain activity was moderately correlated with the decline in inattentive symptoms among the children (p = .038). Further, the intervention helped facilitate brain maturation and development among the participants, and increased communication between the areas of the brain that orient to external stimuli and those associated with self-related processes such as daydreaming. “These findings add to the promising body of evidence from seven prior studies in over 300 children with ADHD using the ATENTIVmynd Game intervention which have demonstrated improvements in ADHD symptoms, reading, math, and homework skills without the use of medication," Rubin said. The researchers did note some limitations with their investigation, such as the small sample size and the resulting need to combine multiple ADHD subtypes within a single study group. Still, they were optimistic about the observable relationship between behavioral and neural changes in the participants. 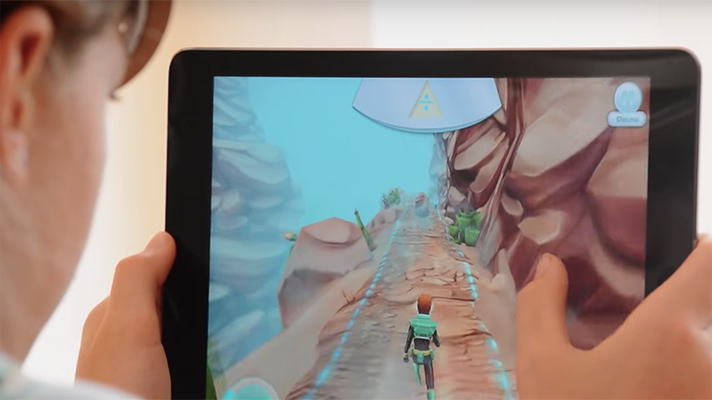 Companies developing video games are becoming an increasingly popular delivery mechanism for cognitive condition therapies. Currently, Boston-based Akili Interactive Labs is awaiting an FDA decision following the conclusion of a large study of its own pediatric ADHD treatment, AKL-T01 (also known as Project: Evo).